With 125 digital properties and partner sites, nearly 5,000 annual product reviews, and an unduplicated monthly audience of 100MM+, Ziff Davis is the premier network in technology, business, and consumer electronics culture. 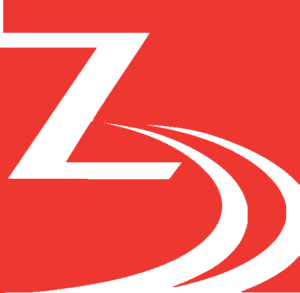 Founded in 1927, Ziff Davis comprises a wide array of trusted brands spanning the business, technology, and shopping spectrum, including Mashable, IGN, PCMag, Everyday Health, What To Expect, Ookla Speedtest, and more. Our award-winning content introduces consumers to the most innovative ideas in technology and business and directly facilitates purchase for a massive in-market audience—contributing to a vast repository of meaningful and trustworthy commerce, context, and audience data. Ziff Davis has the ability to offer uniquely valuable data capabilities at scale to our partners. Our platform hosts thousands of commerce click-based segments and off-the-shelf audience and context segments as well as the ability to instantly create custom segments sourced from our owned and operated web and mobile sites, apps, and services, thereby guaranteeing that our first-party data will be transparent, high-quality, and bot-free (unlike comparatively opaque third-party data). Ziff Davis’s access to intent-rich data including searches, commerce clicks, and whitepaper and software downloads gives us the ability to target truly in-market consumers. Our deterministic cross-device data also lets us target the same users across devices: with Ziff Davis audiences, there’s no need to rely solely on generalized, probabilistic lookalikes. Armed with Ziff Davis’s first-party insights, partners can harness billions of proprietary data points to better understand, reach, and convert their intended audiences. Ziff Davis builds audiences organically by creating compelling content and experiences that consumers crave to help them discover, buy, and use the products that matter most to them. We collect anonymous behavioral signals—including clicking commerce links, searching for and researching new products, reading reviews, downloading white papers, and opening and clicking within emails—with consumer offers and/or specialized business content. Ziff Davis audiences are derived from online and offline actions relating to commerce, context, and audience data. While based primarily on browsing activity across billions of owned and operated web pages, our exclusive datasets also include commerce actions, content downloads, and subscriptions, as well as other offline activities that signal purchase intent. Ziff Davis has the ability to offer uniquely valuable data capabilities at scale to our partners. Our platform hosts thousands of commerce click-based segments and off-the-shelf audience and context segments as well as the ability to instantly create custom segments sourced from our owned and operated web and mobile sites, apps, and services, thereby guaranteeing that our first-party data will be transparent, high-quality, and bot-free (unlike comparatively opaque third-party data). Ziff Davis’s access to intent-rich data including searches, commerce clicks, and whitepaper and software downloads gives us the ability to target truly in-market consumers. And our deterministic cross-device data lets us target the same users across devices. With Ziff Davis audiences, there’s no need to rely solely on generalized, probabilistic lookalikes. Branding and performance campaigns for web and mobile platforms that seek to improve response and conversion rates, or to affect brand awareness and consideration among accurately targeting audiences.